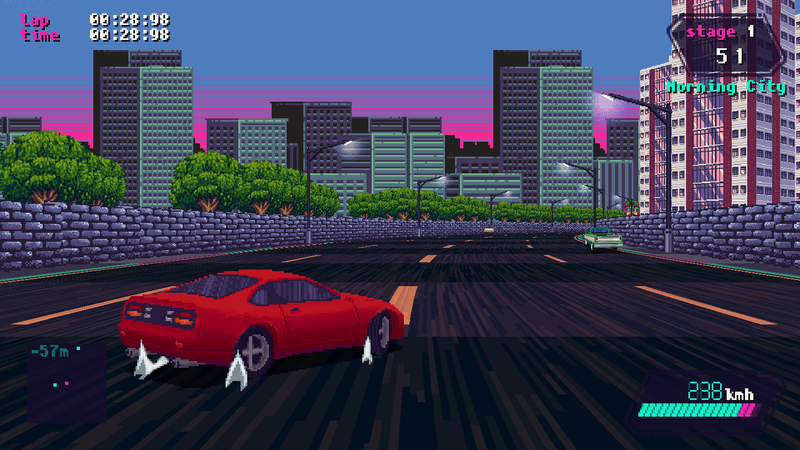 It's 199X, you're in the driver seat. As you turn the key and hear the engine starting, a cassette plays on the stereo. 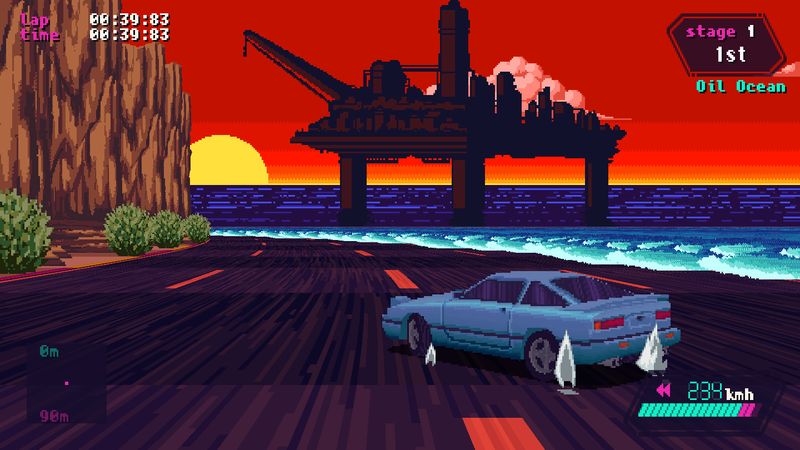 The clear blue sky invites you to escape, to explore a world of exotic landscapes and thrilling races. Step on the gas, choose your path, drive across cities, mountains, deserts, forests, beaches — places from all over the world and beyond. 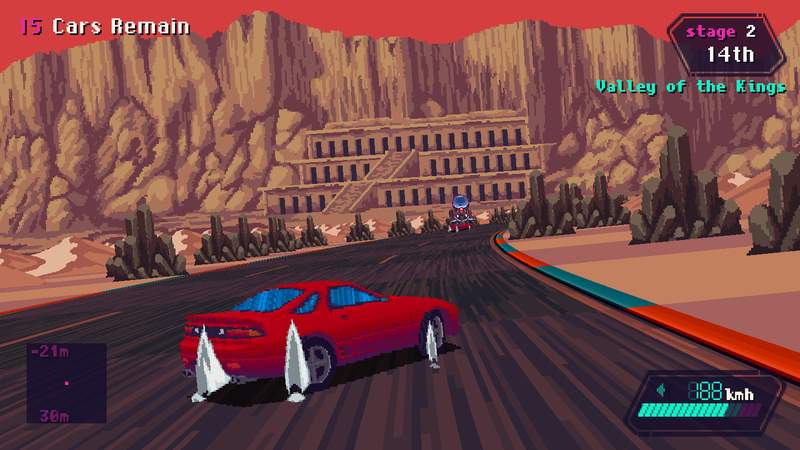 Slipstream is a racing game influenced and inspired by the OutRun series, SEGA games in general, Initial D, Vaporwave & Synthwave aesthetics and the spirit of 90s arcades. 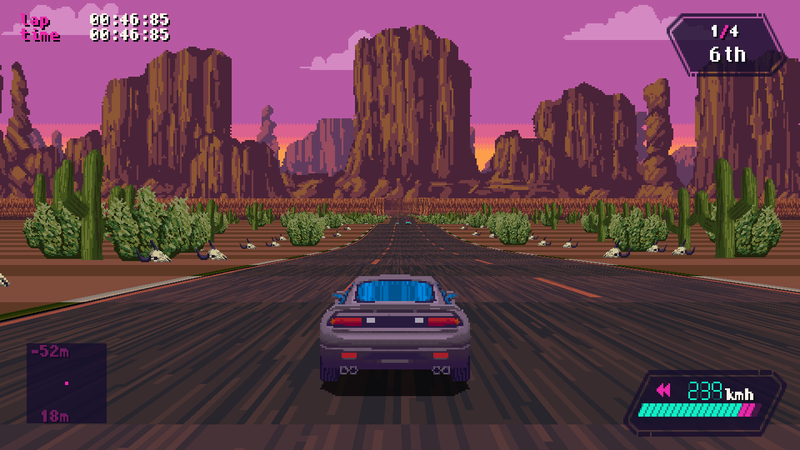 It uses a real pseudo3D engine to provide an authentic retro experience in a modern shell. 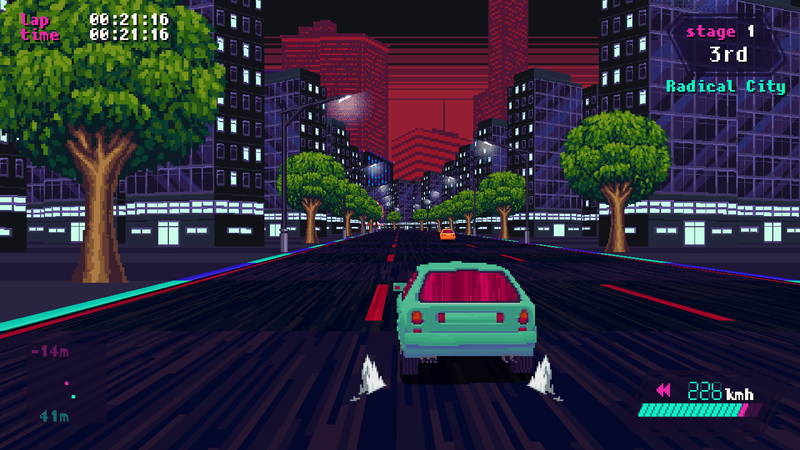 After being funded via kickstarter in 2016 and delayed more times than the developer would like to admit, it was released independently for PC in 2018. 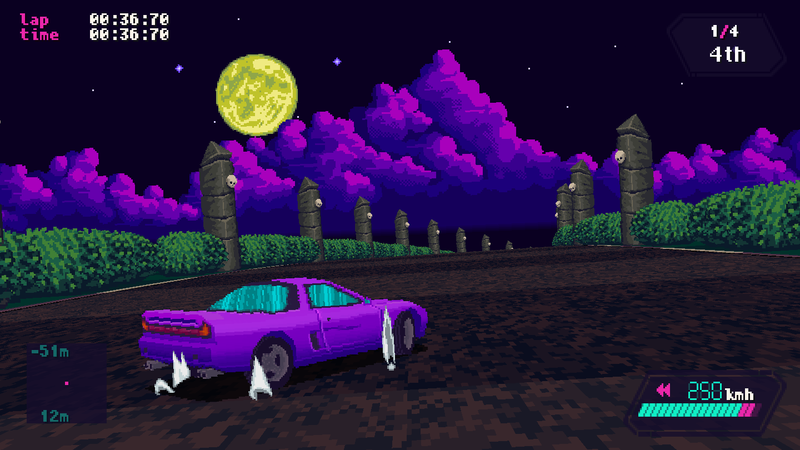 Real Pseudo3D graphics & feel: just like the classics. 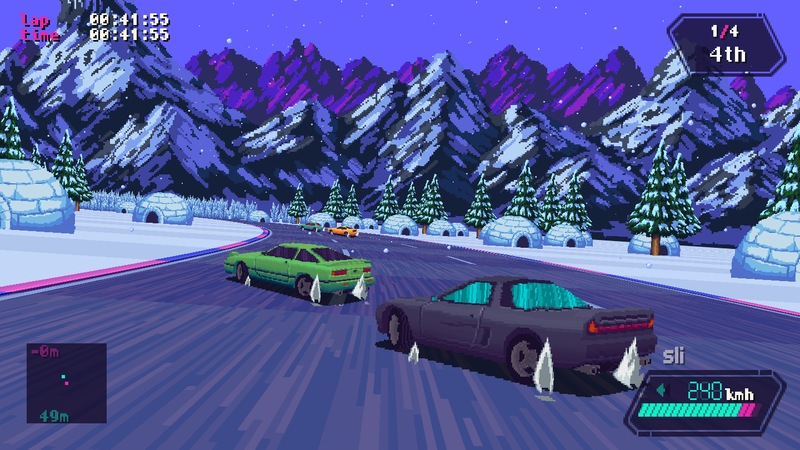 6 Game Modes: Grand Tour, Cannonball, Grand Prix, Single Race, Time Trial and Battle Royale. 20 Different Tracks, 4 Cups in Grand Prix mode. Visual Filters: CRT, NTSC and pixelated modes. * only available in the Steam version. © 2016-, ansdor games. all rights reserved.